Have you ever witnessed the birth process? This is one of the most profound and pivotal experiences that a child will ever go through. Birth is transformational. When the natural expression of birth is observed, there are tremendous forces on both the infant and mother. This process is truly awesome, the infant’s first subluxation is often obtained during birth. Increased occurrence of c-section, vacuum extraction, Pitocin and other medical interventions create massive subluxations in a newborn baby and mother. 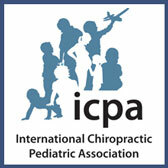 We are passionate about making sure that infants are checked for subluxations as soon as they enter this world. LightForce Chiropractic is extremely gentle and safe for infants, children and adults. The Low-Force method of adjusting that is used at Coastal Chiropractic, requires no twisting or popping of the spine. Many say that this Low-Force technique is great for infants and geriatric patients due to it’s gentle and safe approach. Have your family checked for subluxations today!